The 2019 Symposium is a two-day conference focused on the advancement of women and systemic change to eliminate gender bias and inequity. The event highlights visionary leaders addressing innovation, change, and equity through interactive workshops and panel discussions. 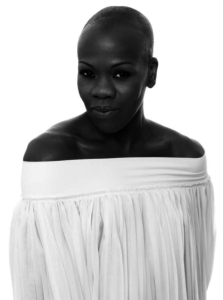 Visit the Sympsoium website for more details on facilitators, and register for this FREE EVENT today. Earlier this year, AirBnb teamed up with Malala Fund to provide website knowledge and expertise and help the organization grow. Projects like these build a symbiotic relationship between corporations and community. 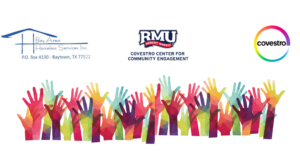 To build such meaningful connections with nonprofits, Covestro Center for Community Engagement (CCCE) at Robert Morris University (RMU) organizes skill-based volunteering projects. I volunteered to work on one such SkillShare project this summer. Not only did it have a significant impact on the nonprofit organization we were helping, additionally, it benefited me in various ways. Therefore, I decided to share my experience here. Executive Services Corps delivers results. 412 Food Rescue wanted to double the amount of food they rescue. A team of Covestro employees wanted to develop a solution to help the organization meet its goal. The Covestro Center for Community Engagement’s SkillShare program brought them together. Treasure House Fashions was committed to developing board best practices and planning for their future through committee structure and concrete action plans. 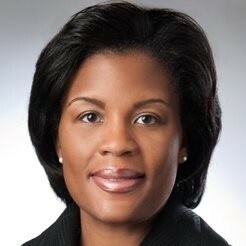 Ayanna Lee-Davis, a FedEx legal counsel employee, was committed to serving a local nonprofit as a board member. The Covestro Center for Community Engagement’s BoardsWork! program brought them together.